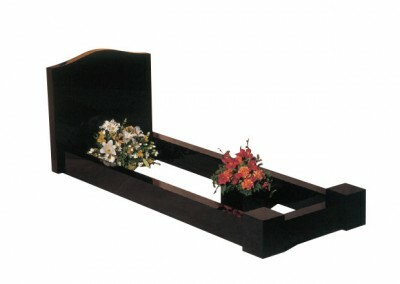 Available in 2’6” high 7’0” x 3’0” overall size. 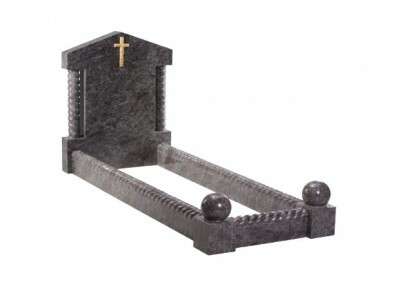 Shown in Black granite with kerbs and corner posts. Separate 6” x 6” x 6” flower vase. Available in 30” high 78” x 30” overall size. 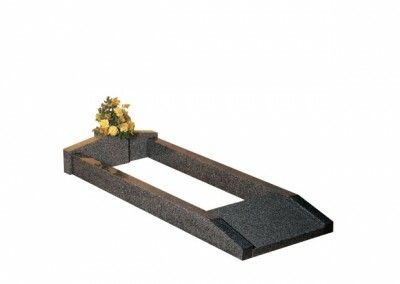 Shown in Avon grey granite with kerbs and corner vase container. 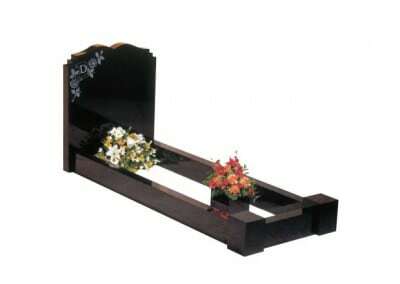 Available in 7’0” x 3’0” overall size. 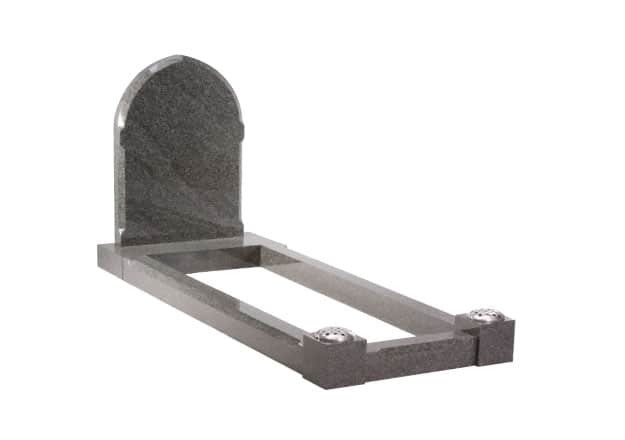 Shown in Light Grey granite with peon shaped kerbs and posts. 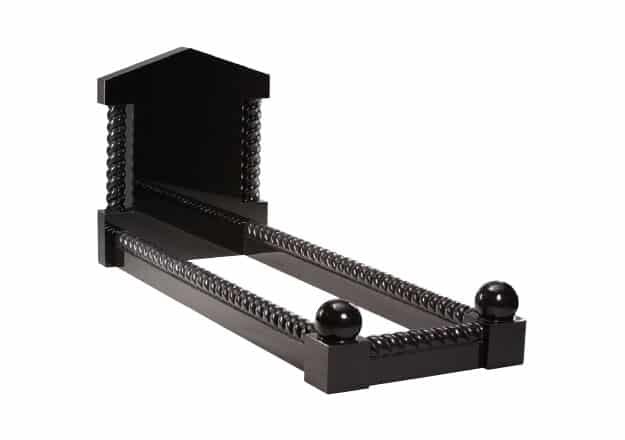 Available in 36” high 84” x 36” overall size. 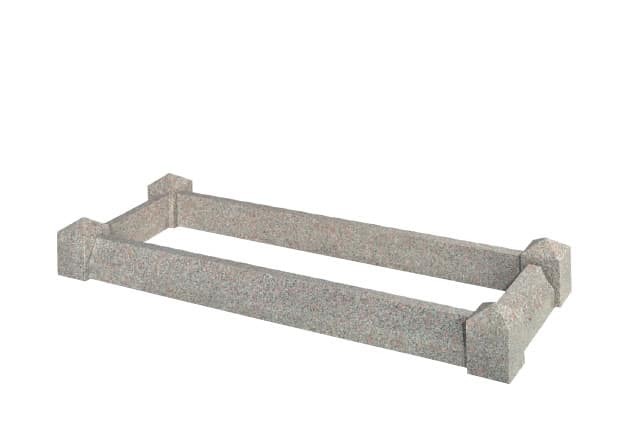 Shown in Balmoral Red granite with kerbs and posts. Separate Double flower 6″ x 12″ x 6″ container in the middle. Available in 30” high 78” x 30” overall size. 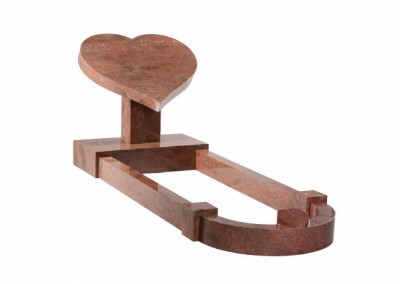 Twilight red granite with raised heart and curved foot end. Available in 36” high 78” x 30” overall size. 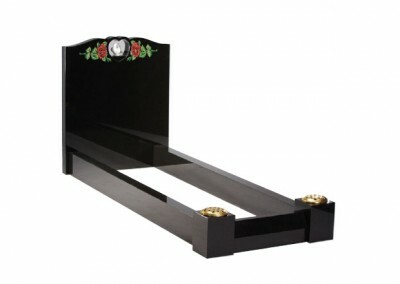 Black granite with twisted columns and matching kerb sets with end posts. Available in 36” high 78” x 30” overall size. 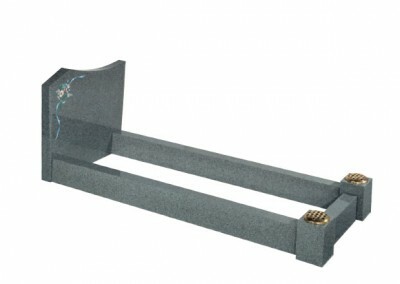 Bahama Blue granite with twisted columns and matching kerb sets with end posts. Available in 3’0” high 6’6” x 2’6” overall size. 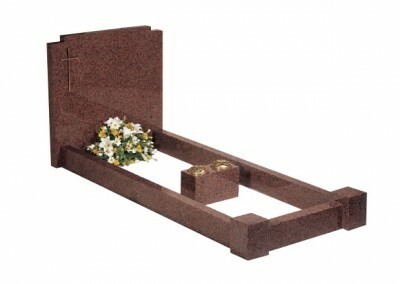 Warwick Grey granite with tiered cover slab and carved flower design. Available in 37” high 78” x 30” overall size. Stratford granite with chamfered sections and matching kerb sets. Available in 36” high 78” x 30” overall size. Black granite with matching kerb set. Headstone has a heart cut out with marble dove and painted roses. Available in 78” x 30” overall size. 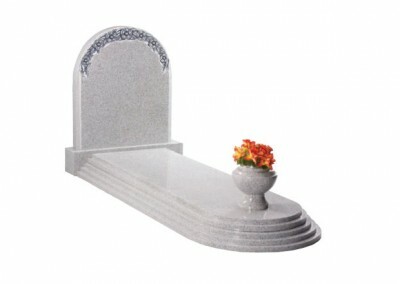 Lunar Grey granite with vase at the head end and lettering tablet at the foot. Available in 36” high 78” x 30” overall size. 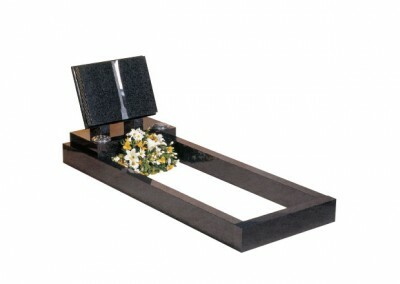 Black granite with a dipped centre headstone and double check shoulders. Available in 36” high 78” x 30” overall size. 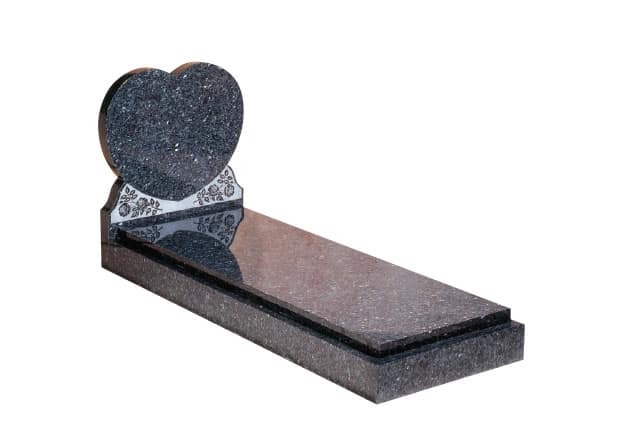 Blue Pearl granite with engraved rose ornament and cover slab. Available in 30” high 78” x 30” overall size. Dark Grey granite with book memorial on top of full length kerbs. Available in 36” high 78” x 30” overall size. 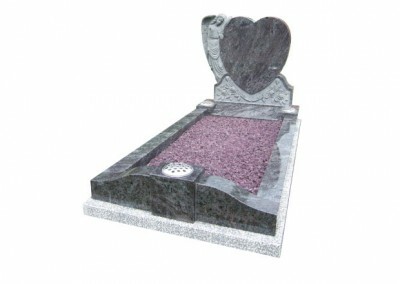 Bahama Blue granite with carved angel, heart and roses. Shaped foot-kerbs and integrated vase.